From the Djurdjevica Tara Bridge, we drove up out of the Tara River Canyon to the highest town in Montenegro, Zabljak. In winter Zabljak is a ski resort, while in summer it is popular for hiking, canyoning, rafting and other outdoor activities. Our reason for coming was to see the famous Black Lake. 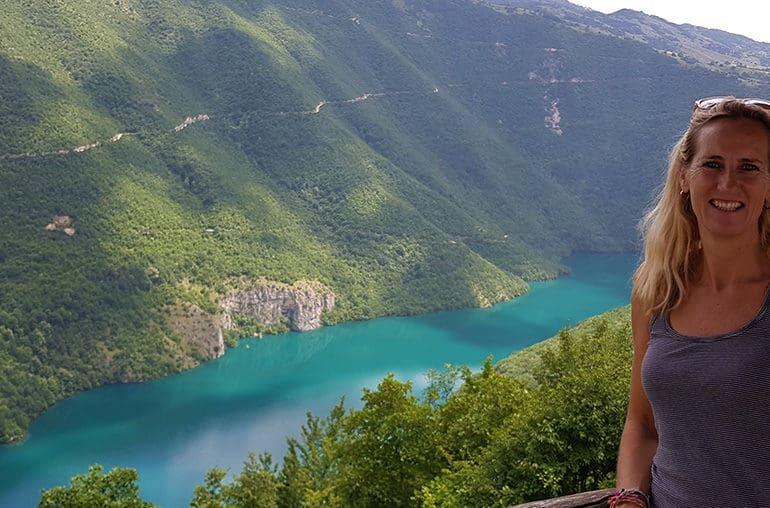 We did a 3-hour hike around the exquisitely beautiful lake and then set off for our next destination, Pluzine. The road to from Zabljak to Pluzine goes through the Durmitor National Park on the Sedlo Pass Route (P14). If you never drive another road in your lives, this one you have to do! 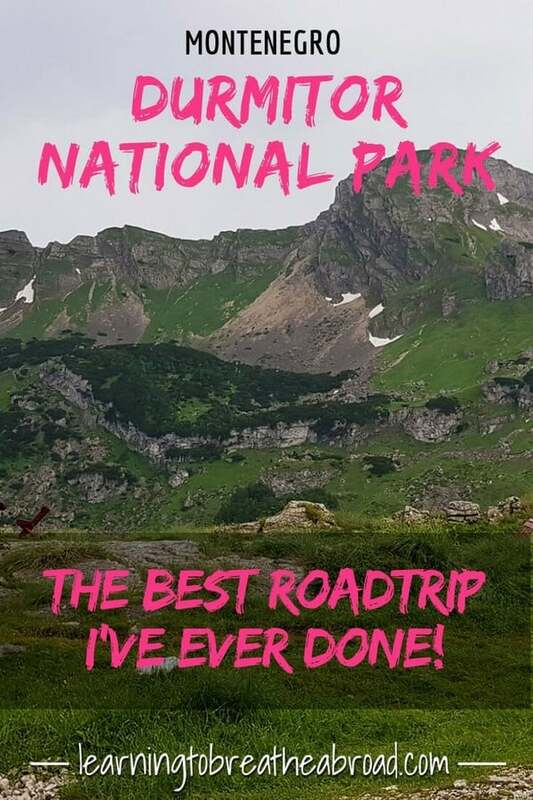 I don’t think I have ever been to a more jaw-droppingly beautiful place in my life and if the road hadn’t been so scary I would keep doing it over and over again! 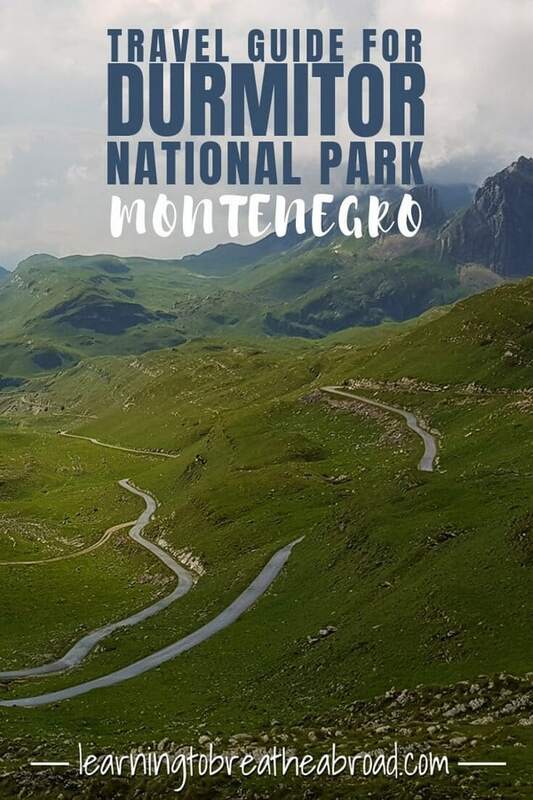 The route took us through the Durmitor National Park which is home to Montenegro’s Dark mountains, the Dinaric Alps or Dinarides. Glaciers have created this incredible beauty, resulting in rolling green alpine meadows set against a stark backdrop of high and rugged peaks. Numerous glacial lakes dot the landscape creating “mountain eyes” of emerald green and blue hues. Each time we stopped, we could hear the tinkling sound of bells from the numerous flocks of sheep on the hillside. The road was very narrow and required that at least one car pull over in order for another to pass. That’s easier said than done when you’re in a big campervan and there is a sheer drop down from the road, but somehow we always managed to find a little patch to pull over onto and just at the right time. On leaving Zabljak, the road got narrower and narrower and was full of potholes. Had I not met other travellers that had done the trip, I really wouldn’t have thought it possible to use this road in a campervan. So in the pouring rain, we pushed on, passed the potholes, until we rounded a corner and the sight of these majestic mountains completely took my breath away! I pulled over at the first opportunity to wait out the rain and to take some photos. We stopped LOTS for more photos! It wasn’t long till the rain cleared up and off we set again. The road wound its way up Mount Sedlo to the Sedlo Pass, which at 1907m above sea level, is the highest paved pass in Montenegro. There was a little parking lot at the top so we pulled over for a better look. Looking back towards Zabljak, the mountains loomed high on each side of rugged the valley with Valovito Jezero glacial lake glittering below. Looking towards Trsa were rolling green meadows, gently undulating away into the distance. Halfway to Trsa is Bobotov Peak, which at 2,525 meters above sea level is the highest peak in Montenegro. 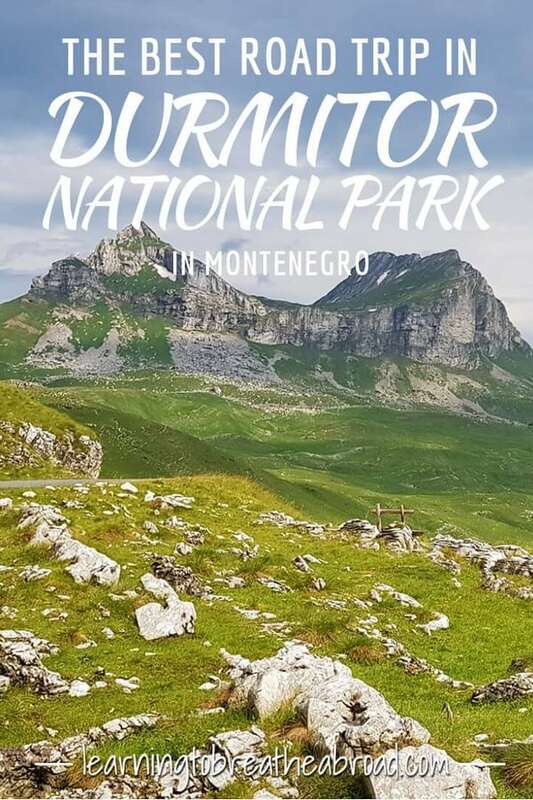 It is just one of more than fifty peaks reaching over 2000m high in the Durmitor National Park. These sheer rock faces, still clutching pockets of icy glacial snow are dramatic and breathtaking. In fact, we found a huge patch of snow close to the road, so Tai had fun throwing snowballs at me! The road soon started meandering down to the meadows which were bursting with purples, yellows, reds, and whites of the spring flowers. Cattle lazily strolled across the road and wizened old farmers gave us curious stares as we drove past their lonely farmhouses. We found a dog lolling beside the road in the middle of nowhere so fed him a loaf of bread. And then we reach Trsa which doesn’t have much to hold one. There were two restaurants, some rooms to rent, a fenced field with 6 tiny huts and about 3 houses. Oh and a huge monument in the field? I later found out that the eco-restaurant does excellent Montenegrin slow-food, so worth a stop for lunch if you time it right. 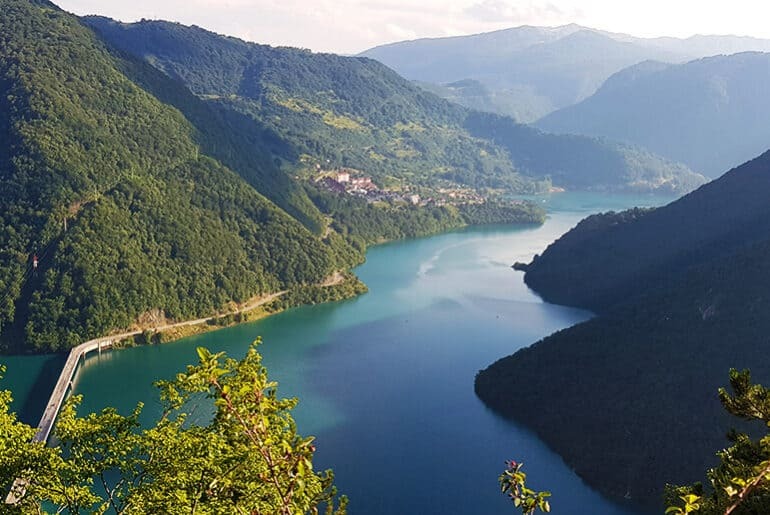 From Trsa the road descended at a rapid rate through a valley of dense forest until suddenly we popped out on a cliffside road overlooking the unbelievably beautiful Piva River. The last stretch took us 4.5 km down a steep switchback road, passing through dark narrow tunnels carved out of the rock. Some of the tunnels had hairpin bends inside and were only big enough for one car. To recap, we drove down a steep road with dark rock tunnels with hairpin bends inside the tunnels, on one lane, not knowing if there were any cars on their way up and then trying to pass the ones we did meet. I think I forgot to breathe it was so scary! 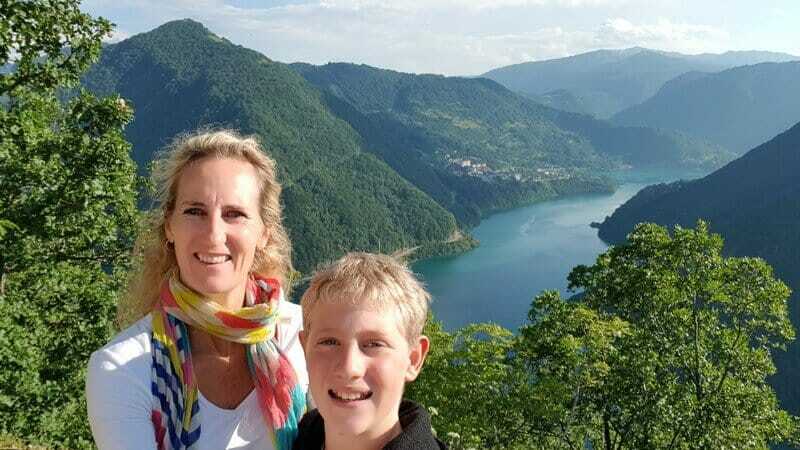 And then we were on the bridge over the Piva River, the Piva Lake and the town of Pluzine in front and behind, the most incredible road trip I’ve ever had the pleasure of driving! 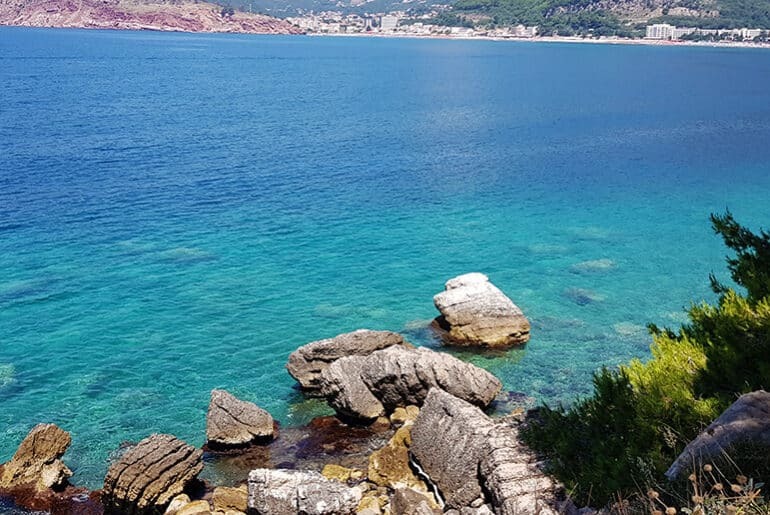 The images of this exquisite landscape will stay with me forever! From Trsa to Pluzine is 15km and it took us 50minutes.